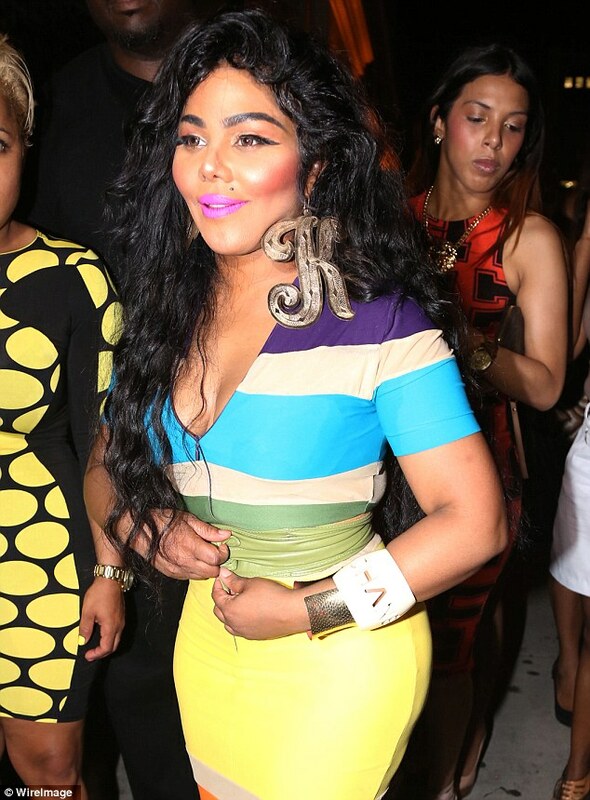 Celebs out and about Lil Kim,Tyra Banks,Paris Hilton and Rihanna all spotted.. The 39-year-old Ex model,entrepreneur and TV show host stepped out in a lovely Bodycon gown for her appearance. Loving the Gown Tyra But just easy on the Botox your face is ermmmm?? No words at the minute..
Lil Kim was also spotted out and about In NewYork City as she stepped out in this very Lovely multi coloured gown to celebrate her 39th Birthday waohh Lil Kim is already 39? Time does fly fast! has been shooting scenes for her French television show, Les Ch'tis à Hollywood, at her Malibu beach house. As Usual Paris is still Paris..
OK and Rihanna does not seem to stay out of the News You would have thought she thrives on it! She was photographed out and about In London and this is what Riri Wore to go out shopping for an outfit at a Roberto Carvalli store which had to close to other customers for Riri to make a Purchase.. #Diva ish..
and was later spotted in the evening heading out to party in Soho with Bff Model Cara Delevingne. Rihanna never stops..